Many adults with attention deficit hyperactivity disorder (ADHD) also struggle with impairing anxiety. Sometimes this anxiety develops as a result of the ADHD symptoms. If you have difficulty managing the everyday demands of life, are chronically late, forgetful, have trouble meeting deadlines and obligations, become overwhelmed with finances, tune out in conversations, speak or act impulsively, lack tact in social situations—then certainly this can bring about feelings of chronic anxiety. You may worry about keeping track of it all. You may worry about what will go wrong next. When will the next "let down" occur? What will I say next to embarrass myself or someone else? You may dread that next time when you are rushing to an important appointment that you will surely be late to again. Sometimes, adults with ADHD also worry in a different way. It can be so difficult to manage daily activities that you may find yourself experiencing anxiety in a pressured way as a means of trying to organize yourself. Do these concerns sound familiar? "I must remember to turn in the contract by Feb. 1"; "The report has to be finished by Monday"; and "I cannot forget to pick up the kids early from school Friday because they have a dentist appointment." In these situations, your mind may get fixated on worry. For some people, this is a helpful way to organize and remember. For others, this self-imposed pressure becomes even more debilitating. With such enormous worry and burden hanging over your head, you may find that you shut down even more. Some people even experience a sense of paralysis that prevents them from moving forward at all. In addition to the anxiety symptoms associated with ADHD described above, research does find a strong association between ADHD and anxiety disorders. Approximately 25% to 40% of adults with ADHD also have an anxiety disorder. Anxiety disorders can manifest themselves in a variety of physical, mood, cognitive and behavioral symptom patterns. Common features of these disorders are excessive anxiety, worry, nervousness, and fear. This is often accompanied by feelings of restlessness, being "keyed up" or constantly on edge, problems with concentration (or mind going blank), sleep disturbances, muscle tension, irritability, fatigue, and feeling overwhelmed. It can be very difficult to relax and participate fully in life with these impairing symptoms. The person quickly begins to avoid situations in which a negative outcome could occur. If that person is able to face these situations, he or she may only be able to do so by spending excessive time and effort preparing. The anxiety can result in procrastination in behavior or decision-making and the need to repeatedly seek reassurances due to worries. 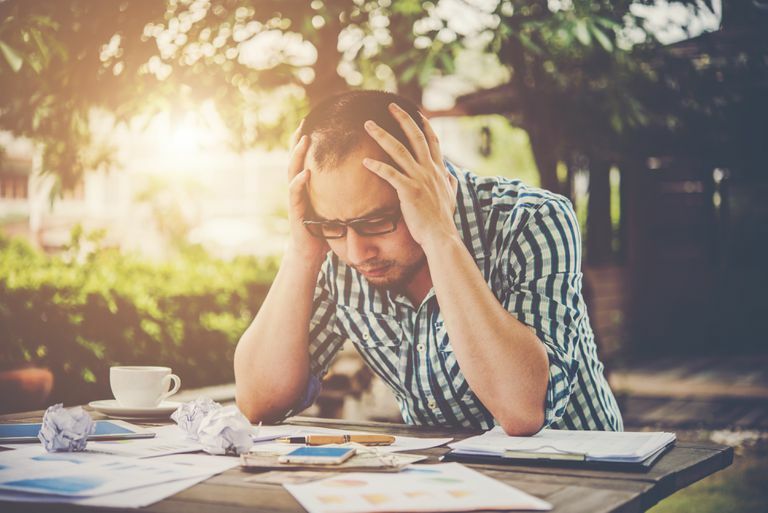 It is clear that features of ADHD—inattention, restlessness, procrastination, sleep problems, feeling overwhelmed—can overlap with symptoms of anxiety. So one of the first steps in planning treatment is to decipher whether these impairments are coming from the ADHD (secondary to the ADHD) or whether they are the result of a separate, co-existing anxiety disorder. Whether or not a person meets the diagnostic criteria for an anxiety disorder, it is clear that symptoms of ADHD can result in chronic anxiety that can further impair a person’s functioning, happiness, and level of self-esteem. It is important to understand and manage the full spectrum of ADHD. Many adults with ADHD and anxiety benefit from cognitive behavioral therapy in combination with appropriate medical treatment. American Psychiatric Association. Diagnostic and Statistical Manual of Mental Disorders-IV. Anxiety Disorders. Edward M. Hallowell, M.D., and John J. Ratey, M.D., Driven to Distraction: Recognizing and Coping with Attention Deficit Disorder from Childhood Through Adulthood. Touchstone. 1994. ADHD Comorbidities: Handbook for ADHD Complications in Children and Adults. Rosemary Tannock, Ph.D., Chapter 8: ADHD With Anxiety Disorders. Edited by Thomas E. Brown, Ph.D. American Psychiatric Publishing. 2009.